Properties: The polyester felt seat shell of series 3000 Njord consists of 100% polyester. 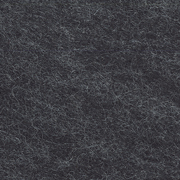 Polyester felt is composed of 2 types of fibres that are non-absorbent and won’t retain moisture. Carrier fibres and hot-melt adhesives are mixed together and pressed into 200 cm wide and approx. 5 mm thick rolls before being moulded into shape. The intermingling fibres have different colours, giving the seat shell an appealing texture. Cleaning instructions: Owing to the fact that the fibres are non-absorbent, stains can be removed with a vacuum-cleaner; stubborn stains must be treated with a spray extraction cleaner. Dab spilled liquids away with an absorbent cloth. Dried-in stains can be removed using a mild cleaning agent and a soft brush, subsequently vacuum-clean. In the long term, signs of usage are inevitable given the soft surface texture. We therefore recommend regular cleaning and brushing cycles. It is to be expected that the surface texture is roughened or smoothed through permanent use. This material is not resistant to strong mechanical impacts concentrated on one spot. Disinfectants can theoretically be applied to the seat shell. However, due to the rough surface, any disinfectant would loose some of its efficiency. We therefore advise against the use of disinfectants.